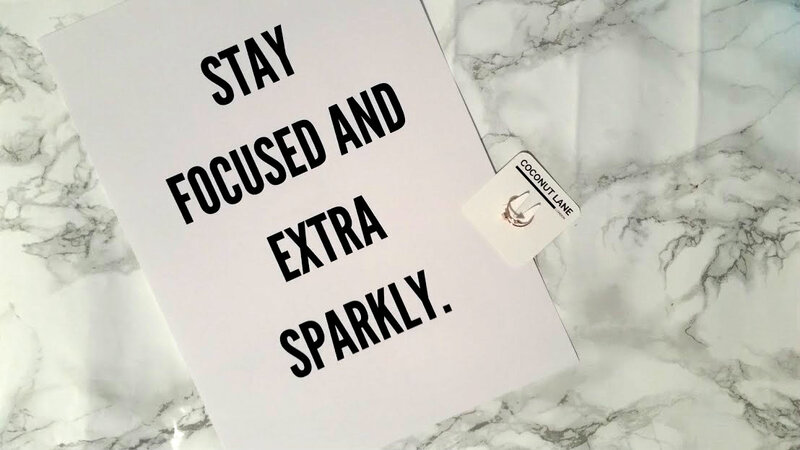 Stay focused and extra sparkly, what a great quote to live by. If you are anything like me, you love a good quote and this printed one makes the perfect wall art for your office or bedroom and gives you that little bit of motivation that you need to speed on! This post is a little haul from Coconut Lane, I only picked up two things but both are amazing! The first thing that I had to get my hands on was a wall art piece, I love anything that includes the words glitter or sparkle. 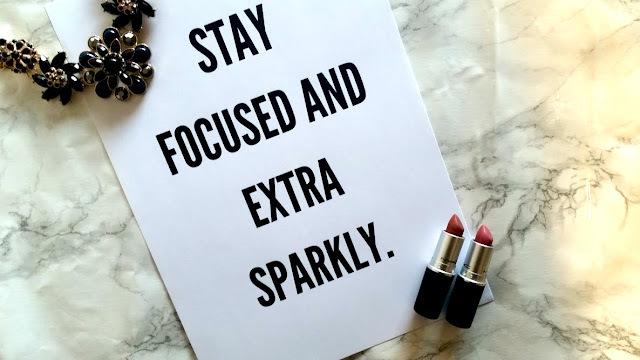 This quote about staying focused and sparkly pretty much gives me enough motivation to keep powering through all my work. The quote comes printed out on very thick card making it easy to pin/stick on your wall or noticeboard. You can also buy the prints with a frame attached if you would like to hand it somewhere. I have my eye on the Coffee, Contour, Confidence one next! Buy the Stay Focused and Extra Sparkly Quote for £6.00! 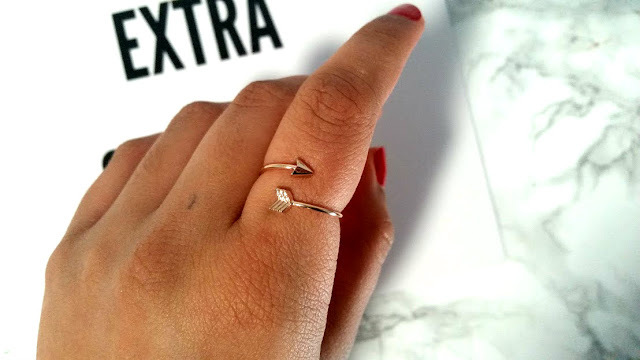 The next item I picked up was this gorgeous Rose Gold Arrow Ring. Which is at the moment sold out on the site, but don't you worry I am sure it will be back soon. It a piece of jewellery that is very dainty and will look good on anyone and with anything. The ring also has a special super power because it expands into either a actual ring or a midi ring - multi purpose so you can stack and pack on the rings. I now also have my eye on the other arrow rings in gold and silver and the matching bracelets too! 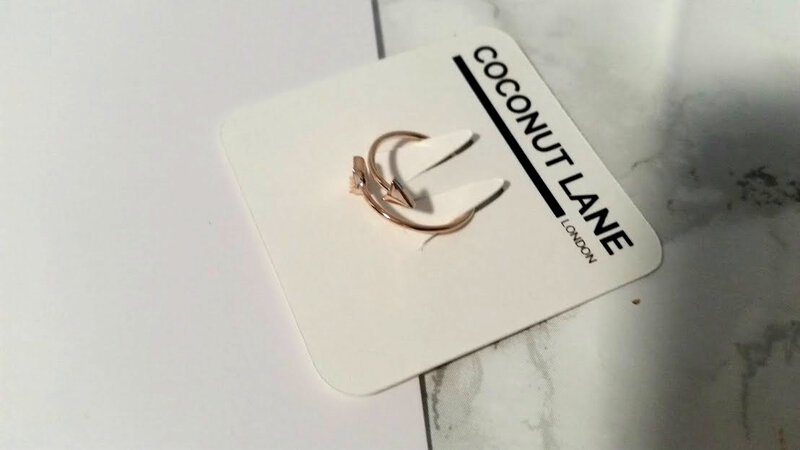 Have a look at the rest of the Coconut Lane Jewellery Line...and the website in general because there are a whole host o beautiful items and gorgeous items for you to buy! 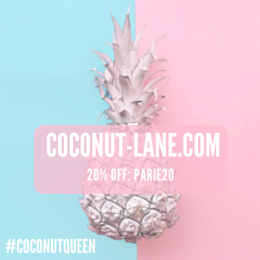 p.s I've only gone and got you a cheeky discount code that will get you 20% discount - its parie20. Let me know what you buy as well, whether its one thing or a few things.